A simple Christmas freebie that is also sure to be a hit is a is letter from Santa. Children love to receive these letters and with the templates over at Free Santa Letters, they only take a few minutes to create at no cost. 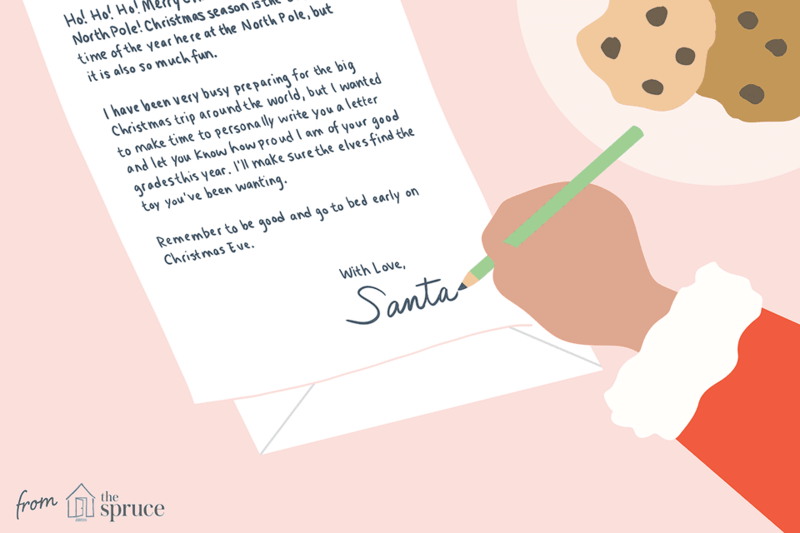 You'll see how easy it is to create a note from Santa and feel your heart warm as your child gets the biggest Christmas smile of all on their face — especially when they see that it was signed by Santa Claus! If you want to go a little more modern, you can personalize a free Santa video or call from Santa to be sent to your child. And giving is just as nice as receiving: Children love sending letters to Santa, too. Here are some free, printable Santa letter templates for you to use. The letter from Santa Claus will be customized with your child's name, gender, achievements, age, town, friend, and presents they want. There are quite a few websites out there that you can use to create a letter from Santa, but our favorite that will keep you coming back to year after year is Free Santa Letters. It's easy to use and they have a ton of templates to choose from and to create a custom letter that your child will cherish for a long time. Visit Free Santa Letters and check the box if you'd like to compose the entire letter yourself or select a letter template from the drop-down menu. There are twelve different templates to choose from! When you click on the templates you'll be able to see the letter template below to help you choose which one you want to give to your child. The template range from a generic Merry Christmas letter to a letter urging the child to go to bed early on Christmas Eve. Once you've found a template that you're happy with, choose your paper size (letter will work best in most instances) and border style for the paper that the letter is printed on. There are quite a few styles of Christmas borders here so choose the one you think your child will like the best from Santa, snowmen, gingerbread men, and globes. Click Go to Step 2 - Child Details when you're ready to move on. Scroll down to enter your child's information. You can also add an optional P.S. that will be added to the end of the letter. Click Preview Letter Text to get a preview below the form of the letter with your child's details and make any necessary changes. When you're finished click Get Letter From Santa and use the dialog box to open or save the letter as a PDF file. Your letter from Santa is now ready to print. With the Santa Mail program from USPS, kids can get a reply back from Santa when they write him a letter and send him their ​Christmas wish list. You'll need to include a personalized response to your child's letter, but then the USPS will mail you back the letter from Santa, with a postmark right from North Pole, Alaska.